She’s sheepish with the news, wondering what I think of the idea. But I need backstory, so my friend recounts how on three separate occasions, she’s been told by three separate people (all strangers) to write a book. Who am I to argue with that, with serendipity, with God? Hers is an incredible story, one worth telling. Years ago, she had been a surrogate for a couple whom she didn’t know previously. After several failed inseminations, she had finally gotten pregnant, and 26 weeks later she gave birth to triplets who fought for their lives for months in neonatal intensive care, each of them somehow managing ultimately to cling to their breath. My friend, however, once paid for her services, was effectively cut off from those babies’ lives and stories. Every year now, she gets a Christmas card. They’re growing so big! It’s like a sucker punch to the gut. My friend’s story hangs with loose threads of confusion. There are emotions my friend has yet to process, a bewilderment she can’t yet shake about what God intended for that chapter of her life. Her story is still a stranger to her. And maybe the only way of making its acquaintance is to write. “Yes, you should write!” I finally conclude, silencing all my yet unvoiced hesitations about the business of book writing. I don’t admit that to interest an agent, much less a publisher is impossibly hard. I don’t mention the agony of building a platform. I don’t chronicle the rejections I’ve had. I know there will be enough discouragement ahead for her. I have no doubt that writing, like many other vocations and pursuits, can be a divine calling. And whether or not my friend ever gets her book published, she will not regret the act of writing. When her hands take to that keyboard, when time begins to slow, and she gets alone with her thoughts, her story, her life will begin to take shape. The landscape of memory will be more beautiful and holy that she remembered it. And she will even find God, lurking where she didn’t expect Him. This is worthwhile, and yet it won’t only be moments of marvel. There will also be days that will punish: an editor will demand a significant revision, an agent won’t answer a query, a magazine will reject a submission, and a commenter will shred an essay. 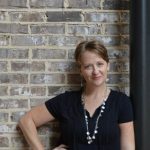 (My particular favorite: “I think the comments on this article are better than the article itself.”) Calling, when life batters and self-confidence falters, serves like an anchor; it tethers us to the work for which we’ve been commissioned. 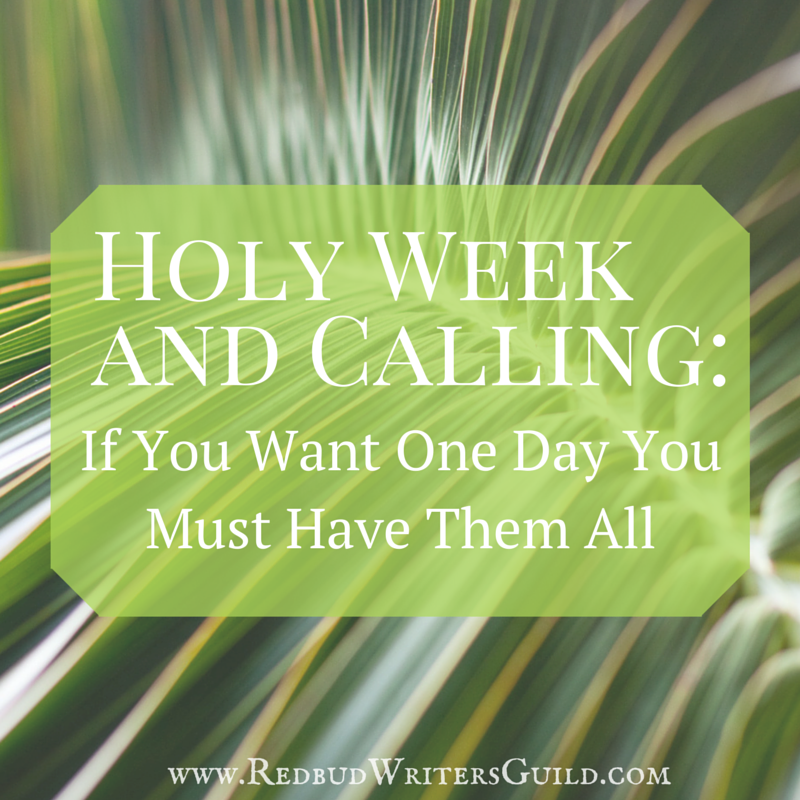 This Holy Week, I am thinking of the plot line of calling. I want my friend to remember that calling enfolds all the final events of Jesus’ life: Palm Sunday, Holy Thursday, Good Friday, Easter Sunday. It is a week you cannot parse or splice. If you want one day, you must have them all. Palm Sunday: exultant and jubilant cries from adoring crowds! How faithful I can be to calling on Palm Sunday, when the chorus of approval sounds! I can write when I am liked and well-thought of, when people agree and commend. I feel so good, and it feels so right. But there are betrayals ahead. Holy Thursday. This is the loneliness of calling. And I discover my own resistance to God’s plan. Take this cup from me. But maybe this is where courage is born, in the garden of desertion? Good Friday: Death. I resist the dying of calling. I fight against this death of self, of ambition, of ego, of fear. To follow Jesus into calling is to carry a cross. This cannot be avoided or altered, although the pain may sometimes feel too great to bear. My God, My God, Why have you forsaken me? 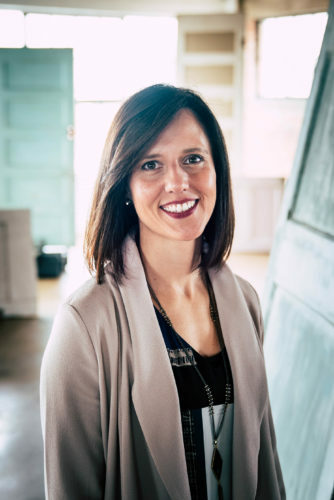 Yes, write–and enter into the story of Jesus. But remember, if you want one day, you must have them all. Oh Jen, I will not be one of those negative comments, trust me. This spoke so much to me where I am, printing it off and taking it with me today to read again as Holy Week approaches. I feel called to write, have been fighting that calling for a long time as a full-time employee and mom to 2. Writing in the margins, yep. Try into the wee hours. As I slowly start, I feel the kick-back of fear as I think about the uphill battle of discouragement, rejection, and just the struggle to be heard. But I do believe in the power of writing to transform us as we write, to help us come to terms with our own story. If that is all the writing does for us, then God has used it in a mighty way still. I am having to remind myself of that often and just listen to His call and follow. This blog is such an encouragement to both the writing and to the believer seeking to know Him deeper in Holy Week. Thank you! beautifully said… thank you! i see this has been published before, and recognize your name from other publications. you’re a gift to us- your words & thoughtfulness and wisdom. i’m grateful that you share with us despite the hard you’ve encountered.